Understanding of global mean sea level during past interglacial periods has greatly improved, but many challenges remain. By using coastal records and oxygen-18 proxy data, Dutton et al. (2015) determined global mean sea level and the contribution from polar ice sheets during three past interglacial periods. Although the results were uncertain, it was determined that global mean sea level was higher than modern day levels in every interglacial period studied—the mid-Pliocene warm period 3,000,000 years ago, the marine isotope stage (MIS) 11 400,000 years ago, and MIS 5e 125,000 years ago. Previous findings were corrected by taking glacial isostatic adjustment (the adjustment of the earth for a long time after a period of deglaciation), dynamic topography, and ice sheet reconstructions into account. The mid-Pliocene warm period was found to have global mean sea level at least 6 m higher than today, MIS 11 was found to be 6 to 13 m above today’s sea level, and MIS 5e was found to be 6 to 9 m above today’s sea level. MIS 5e is the most promising in terms of determining rate of sea level change in a period when sea level was higher than it is today. The determination of rate of sea level change in this period could be made on the scale of thousands of years, but not on a more societally relevant scale like cm/year the way current measurements are made. Recommendations included continuing to develop the integration of sea-level, ice-sheet, and geophysical studies with well-distributed relative sea level records to capture the variability in worldwide relative sea level. Research should continue on factors that require specific reconstructions such as glacial isostatic adjustment, dynamic topography, and ice sheets in general. For now, we can predict based off these paleo-sea level records that the current climate is warming to a degree that underwent major polar ice-sheet loss in past warm periods. This entry was posted in Glaciation, Grace Stewart, Ice and tagged A. Dutton, A. J. Long, A.E. Carlson, B.P. Horton, Columbia University, Durham University, G.A. Milne, geochemistry, geophysics, M.E. Raymo, Oregon State University, P.U. 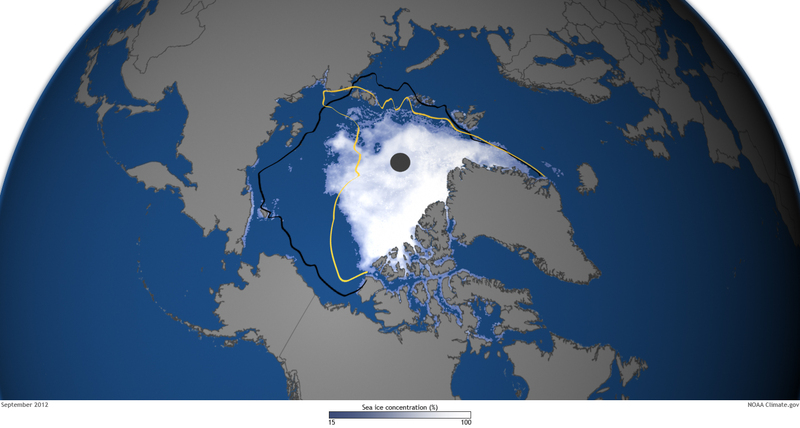 Clark, polar ice sheet, Potsdam Institute for Climate Impact Research, R. DeConto, Rutgers University and Nanyang Technological University, S. Rahmstorf, sea-level rise, University of Florida, University of Massachusetts, University of Ottawa by Emil Morhardt. Bookmark the permalink.